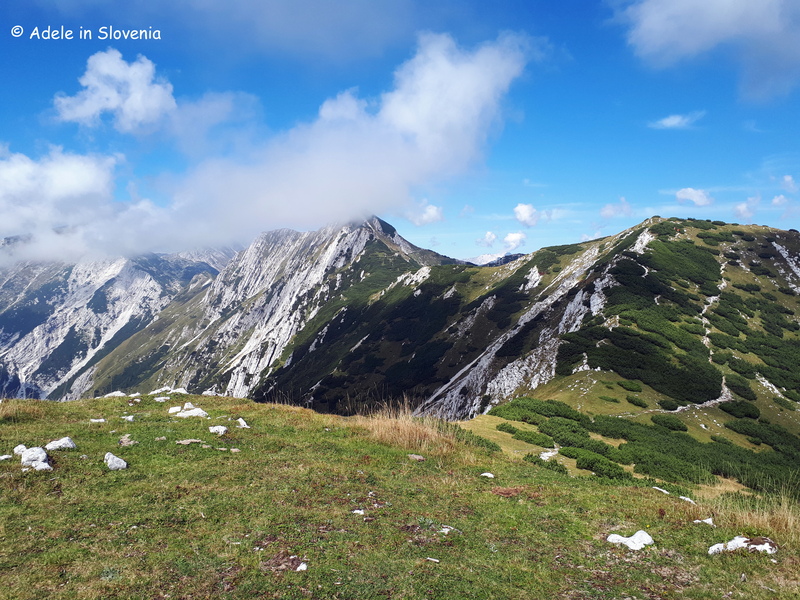 Another fantastic week of high temperatures is behind us, though the rain on Saturday has now cooled things down quite significantly. 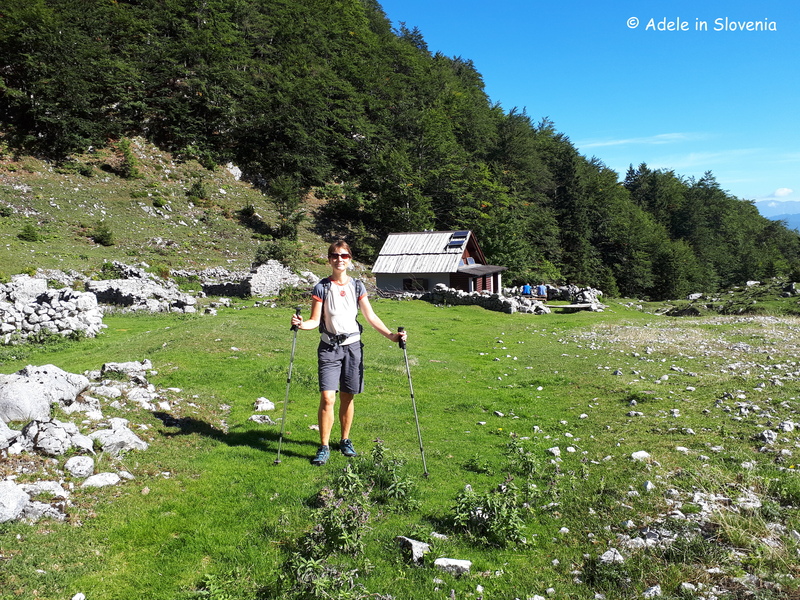 Needless to say, I’ve been making the most of the fine weather with plenty of hiking and cycling trips. 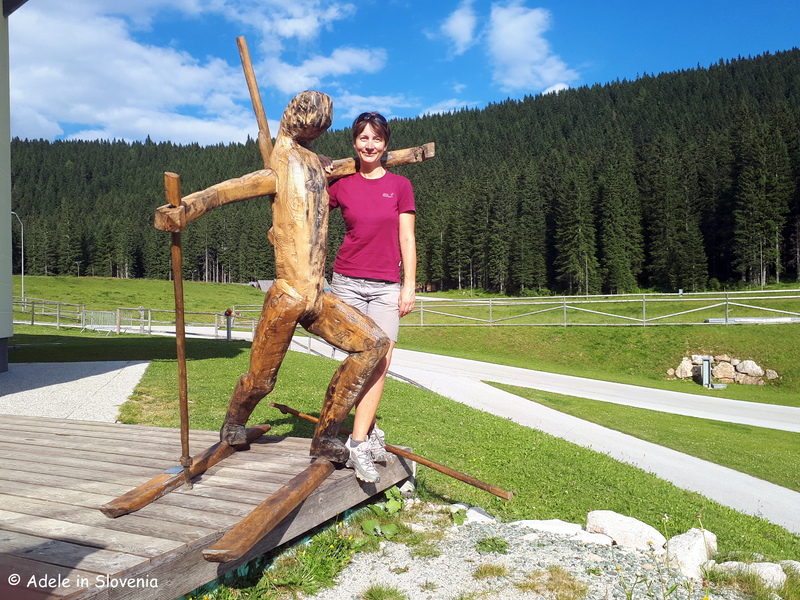 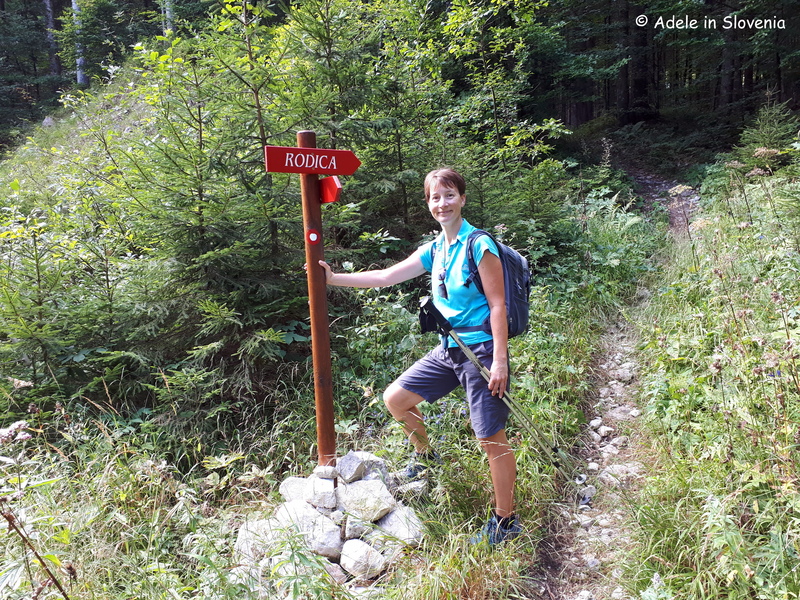 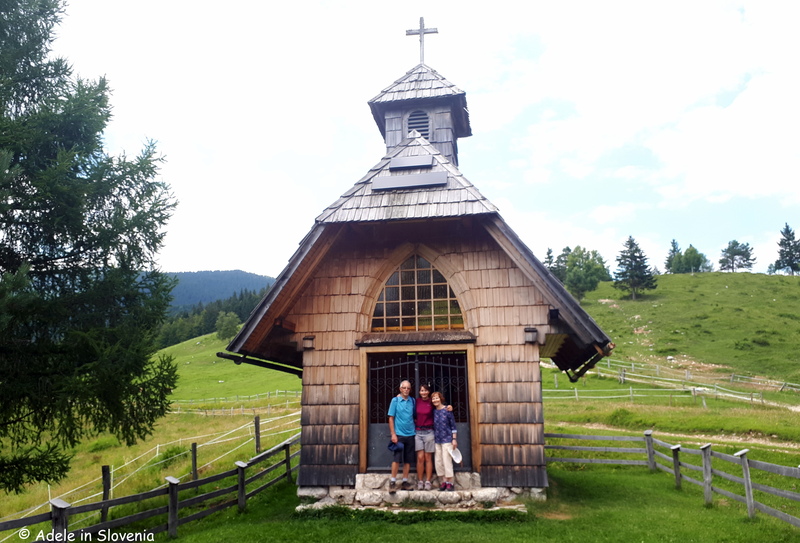 My day began with a 7am departure from Radovljica – in order to beat the traffic, the heat, and find a parking space – arriving in the village of Stara Fužina at 7.45 from where I began my hike. 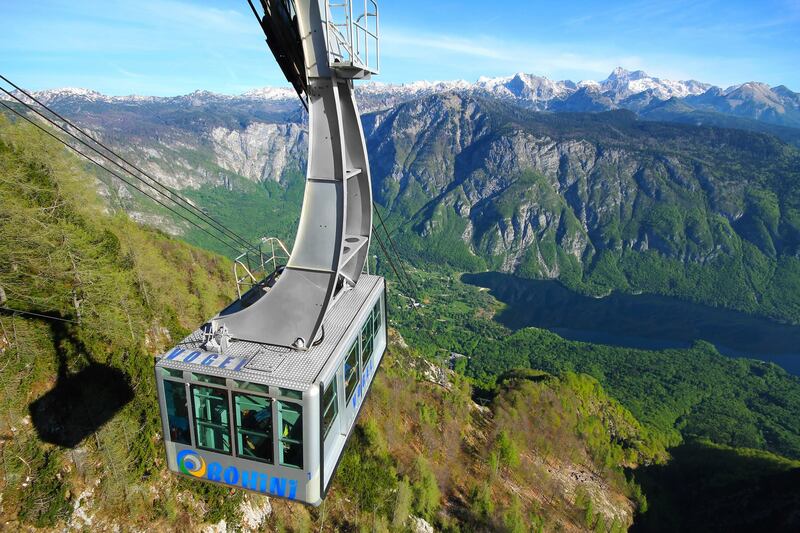 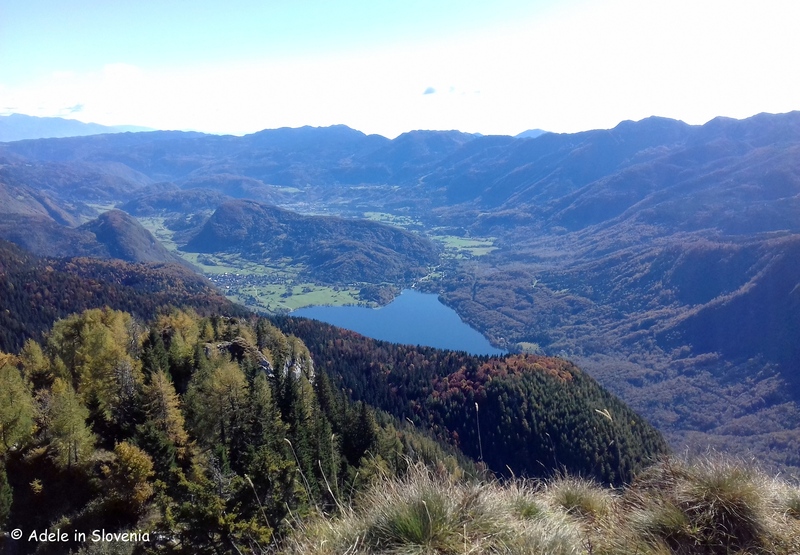 From there, less than an hour’s hike leads to a wonderful viewpoint overlooking the lake, the Julian Alps and the Vogel ski centre. 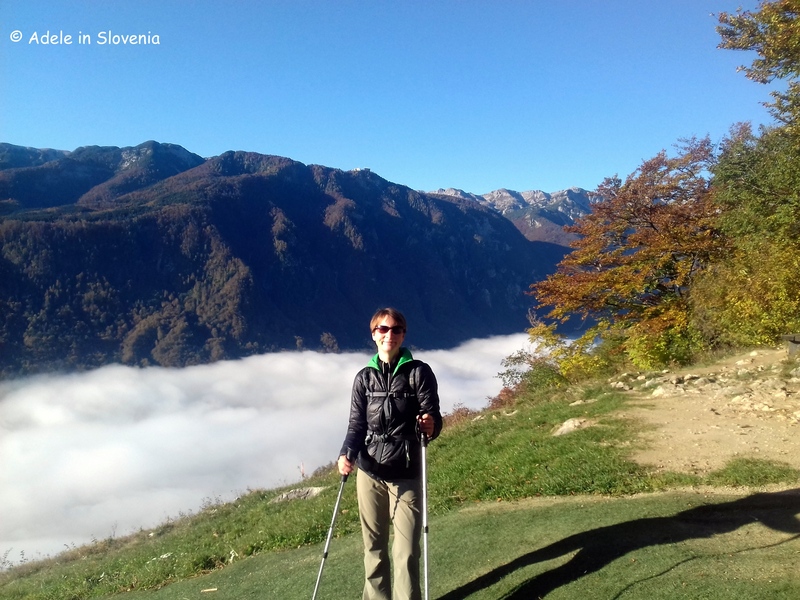 This can be a destination in itself, as the views are more than just reward for the effort. 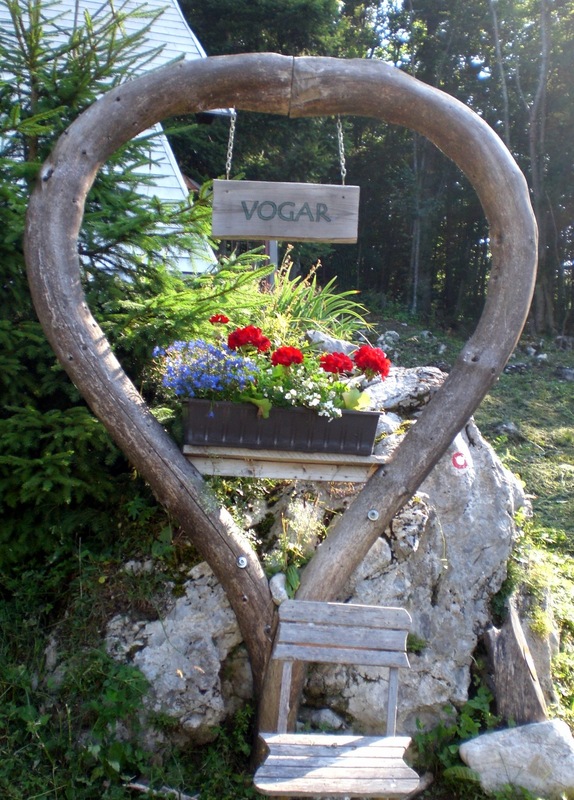 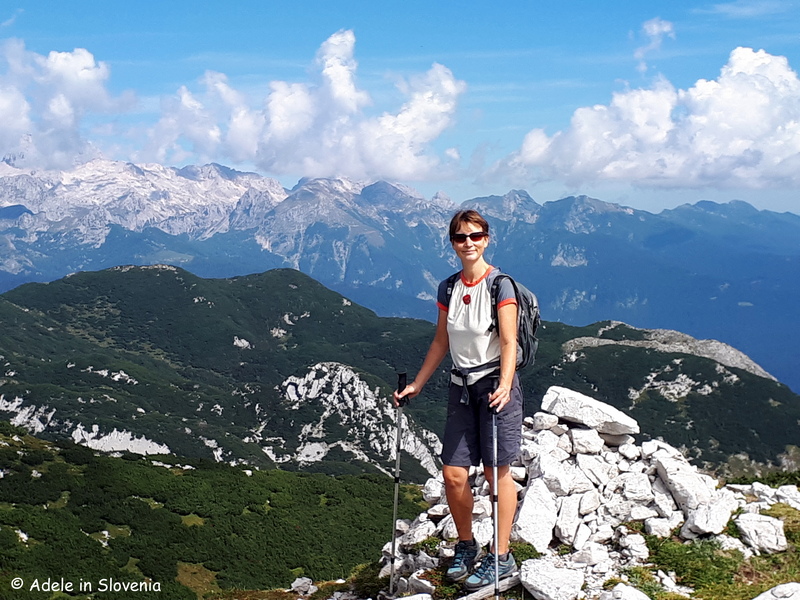 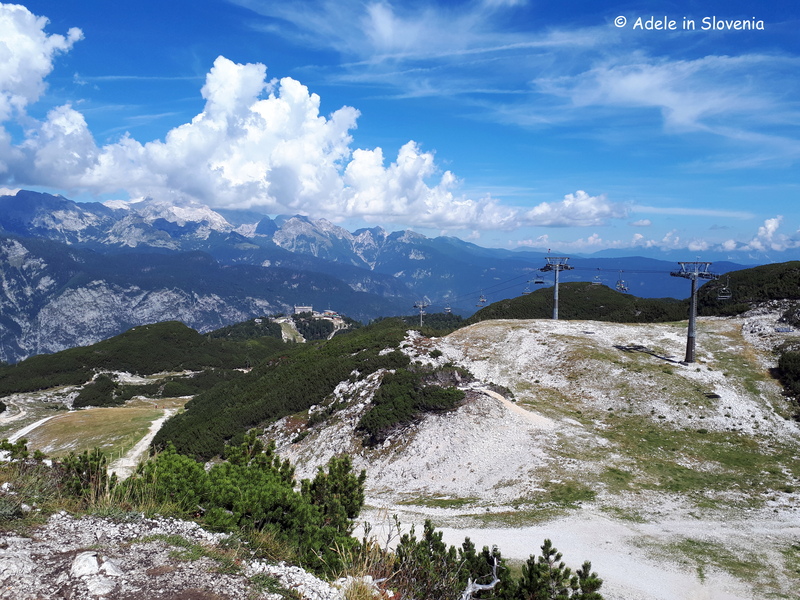 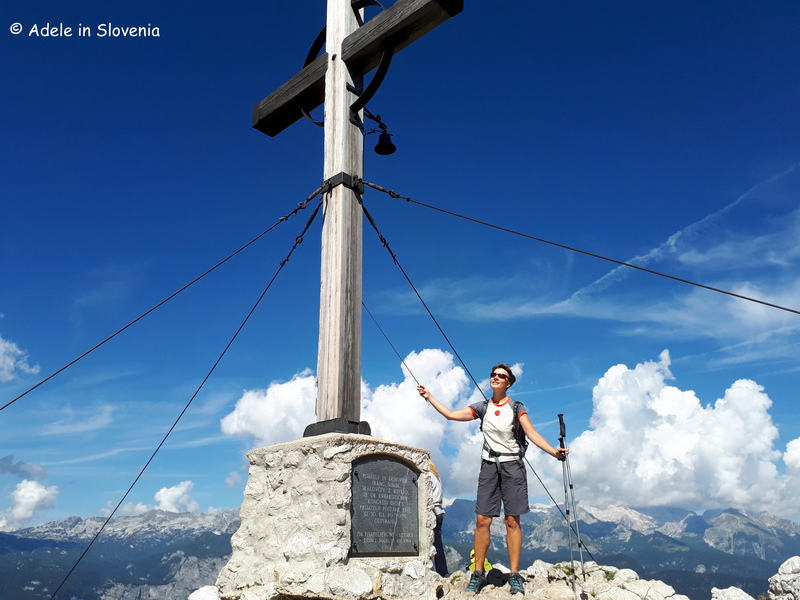 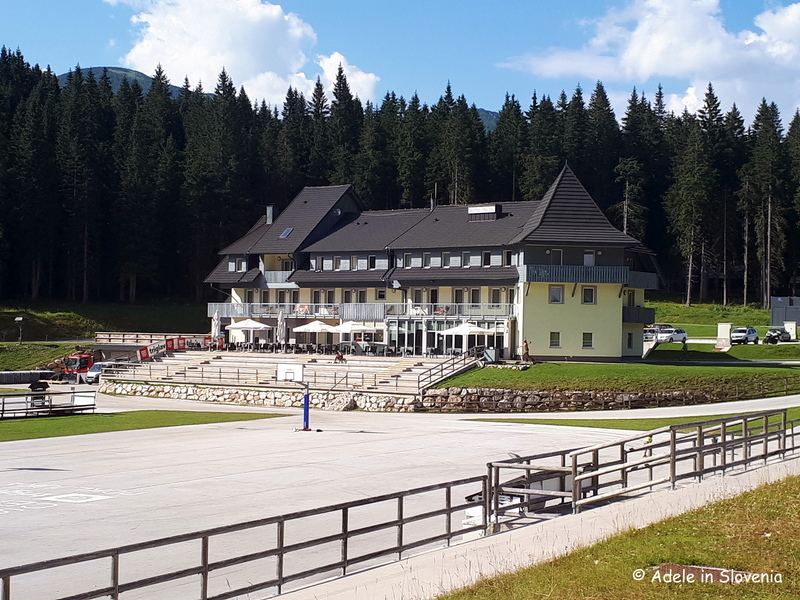 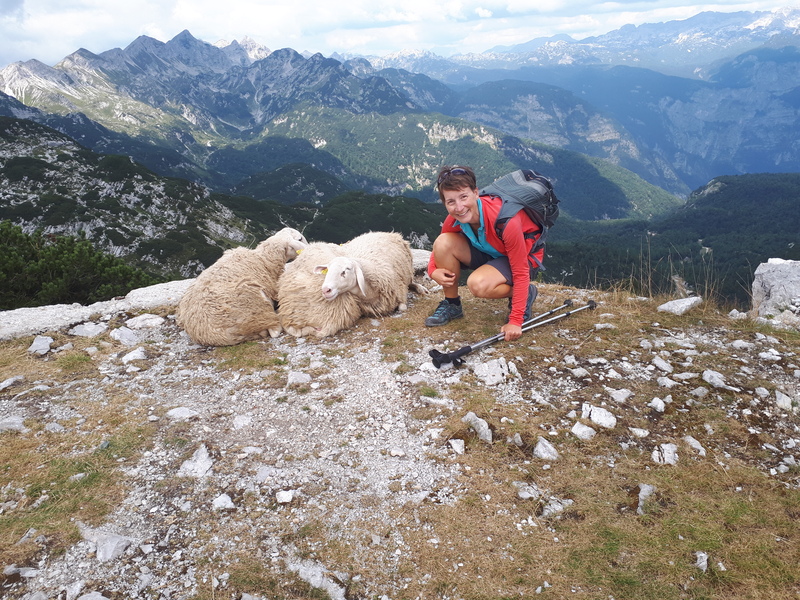 For an added reward, just a further 5 minutes from the viewpoint, you can enjoy some mountain refreshment at the Vogar mountain hut (Koča na Vogarju) – 1054m. 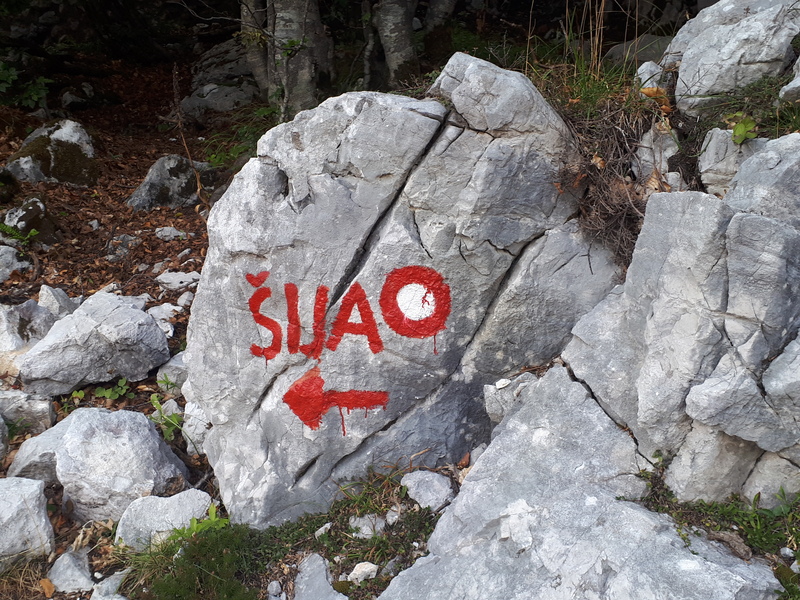 I resisted the temptation and continued to Planina pri jezeru – 1453m (literally – highland by the lake), from where there are paths branching off in various directions. 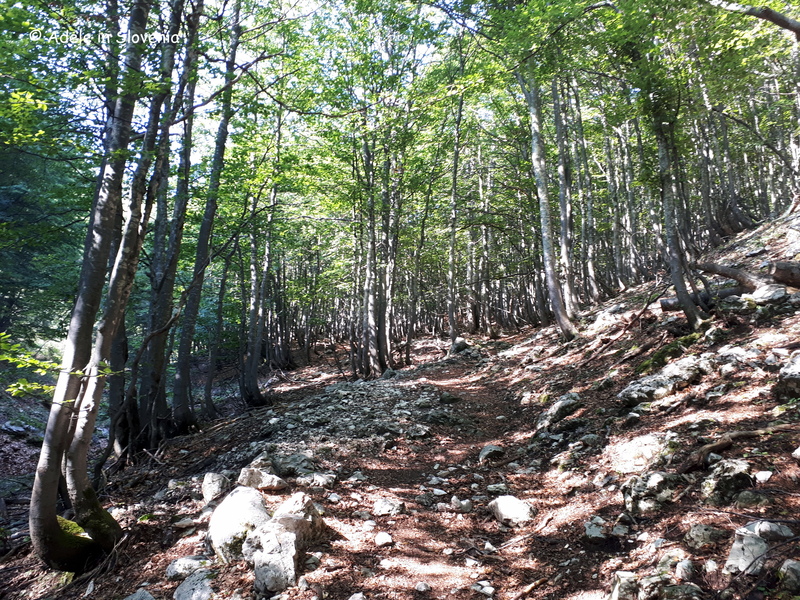 From here, it is just a further 2.5 hours (approx.) 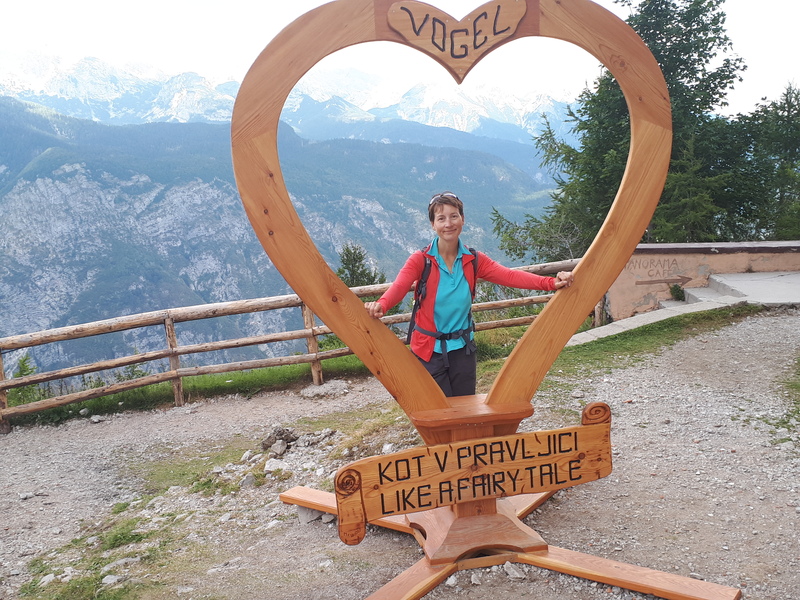 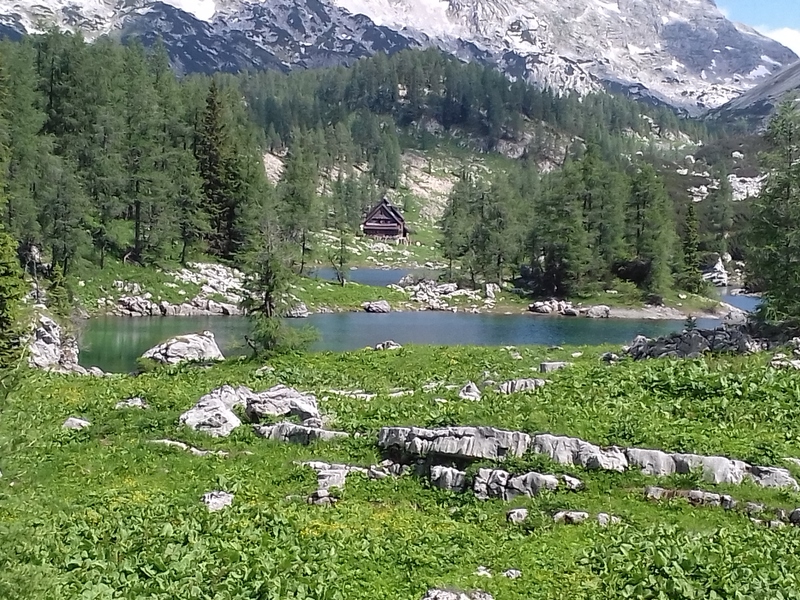 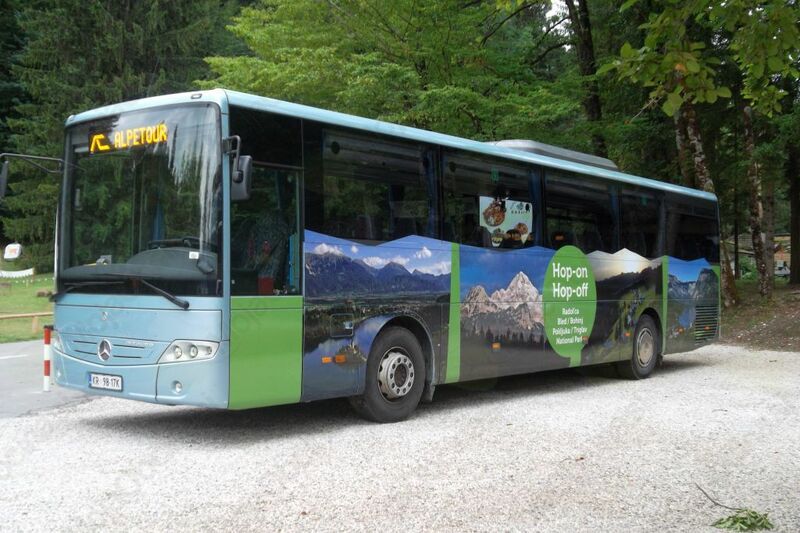 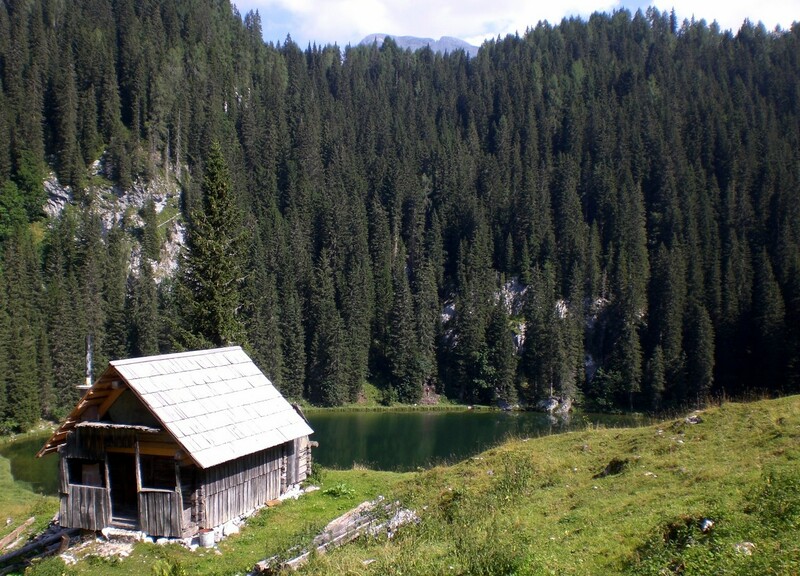 on foot to reach one of the most popular hiking destinations in the Julian Alps, the 7 Triglav Lakes Valley. 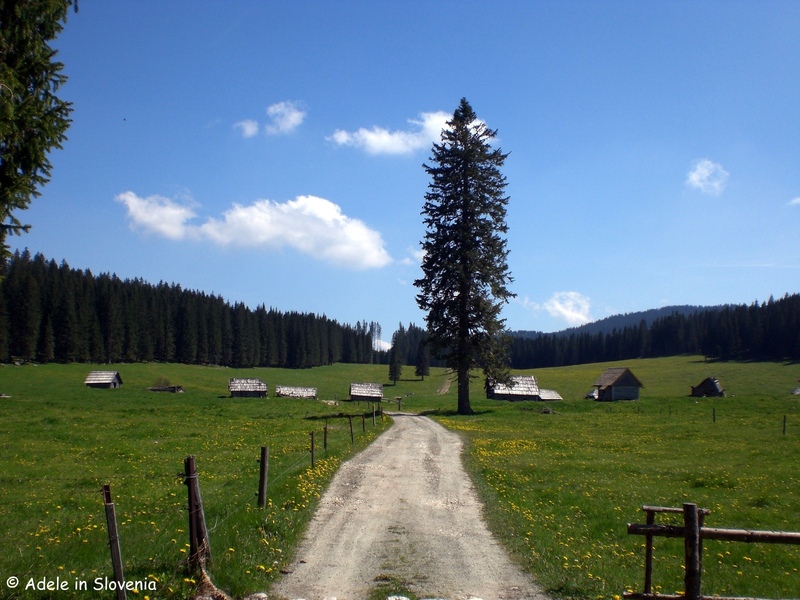 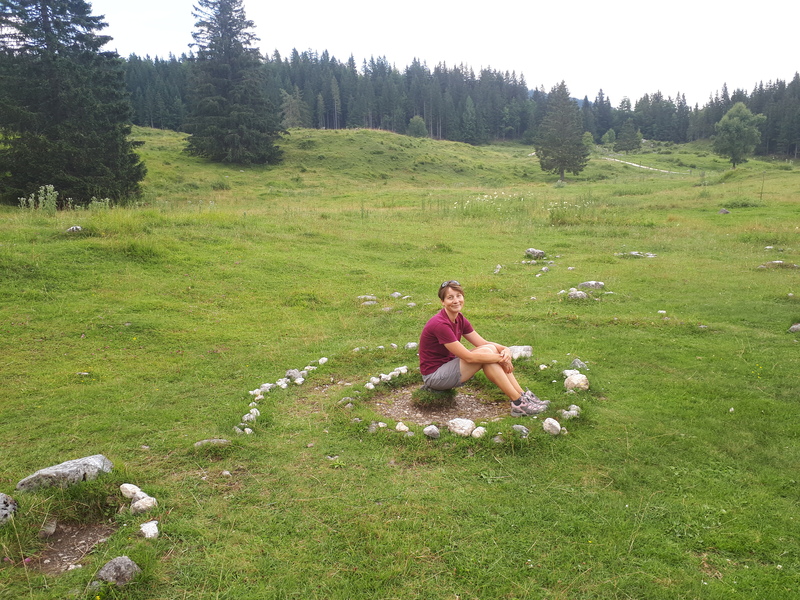 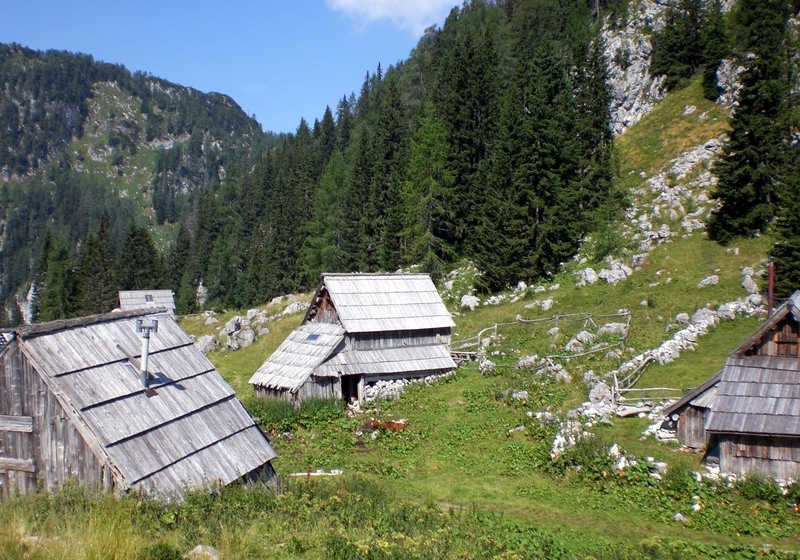 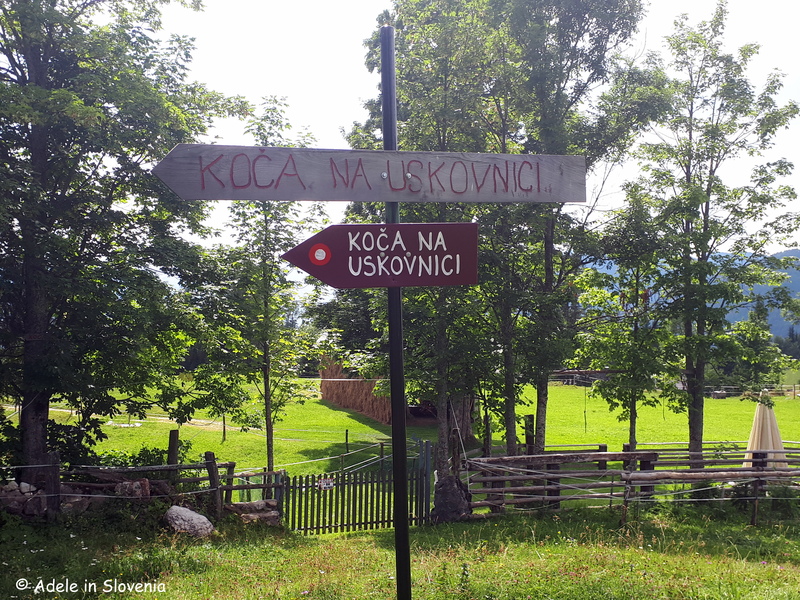 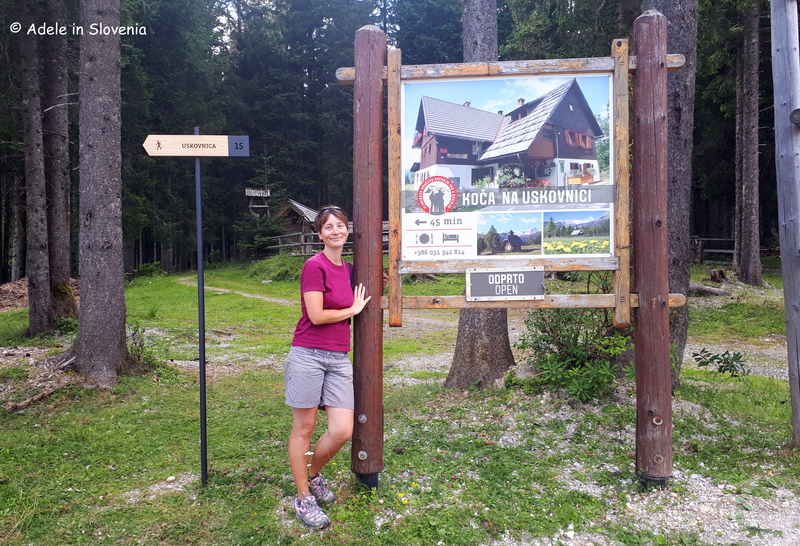 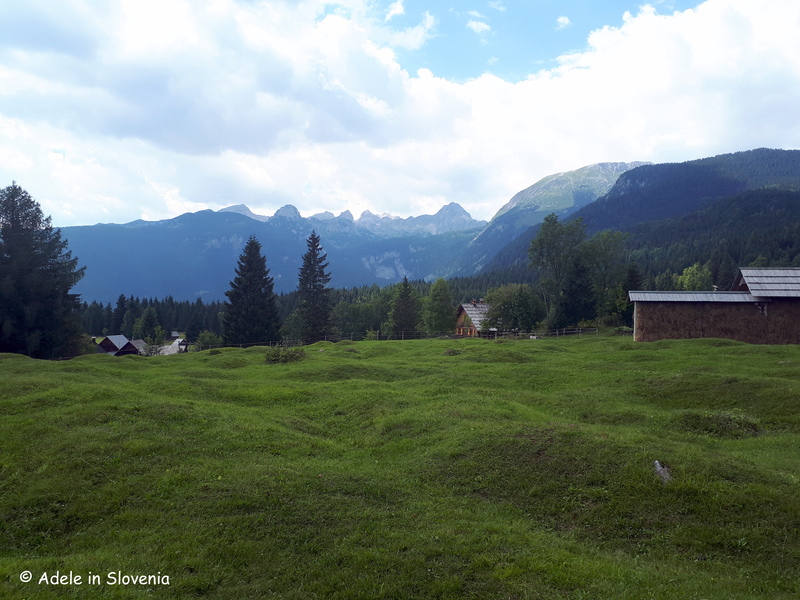 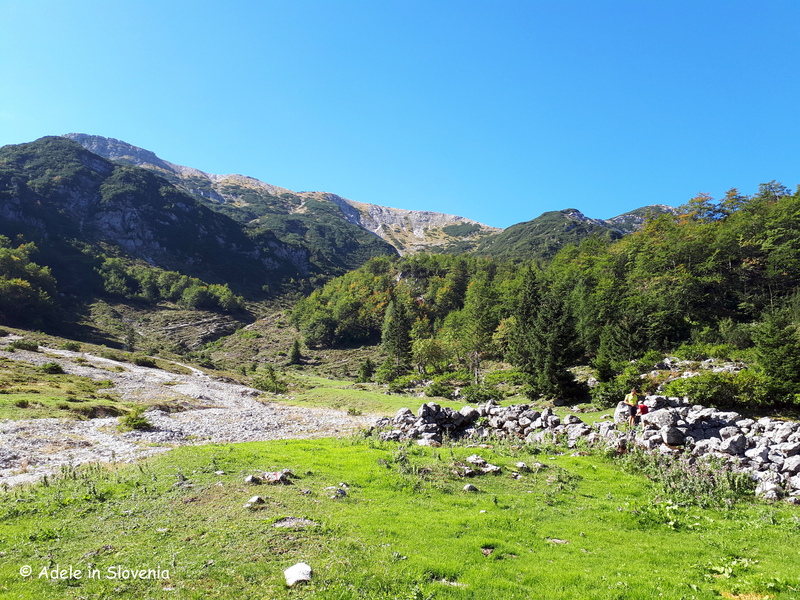 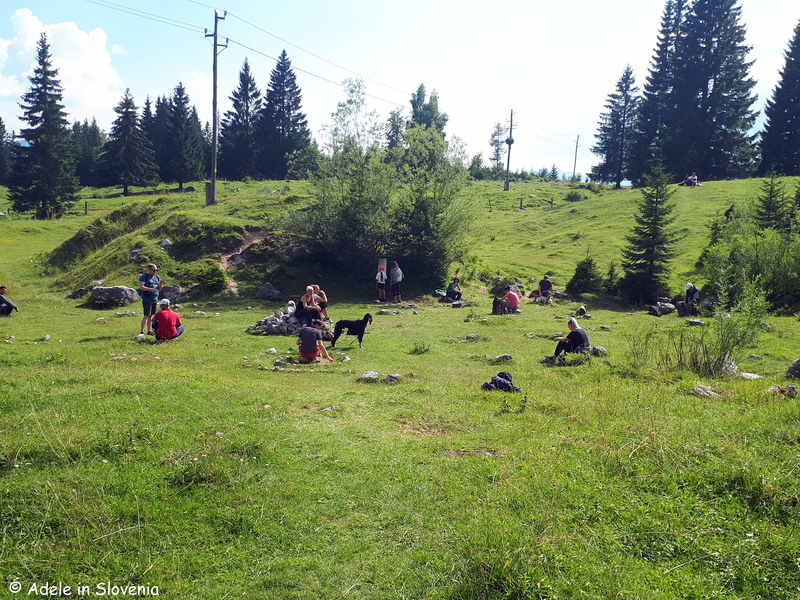 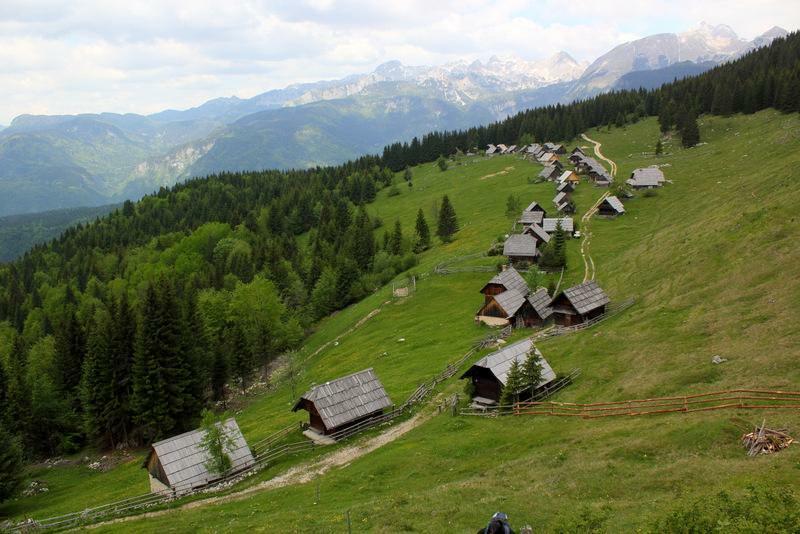 However, I instead turned left to reach Planina Viševnik, then Vodićni vrh – 1486m, before descending back to the road which, eventually, returns to just near the Vogar hut and then back to Stara Fužina. 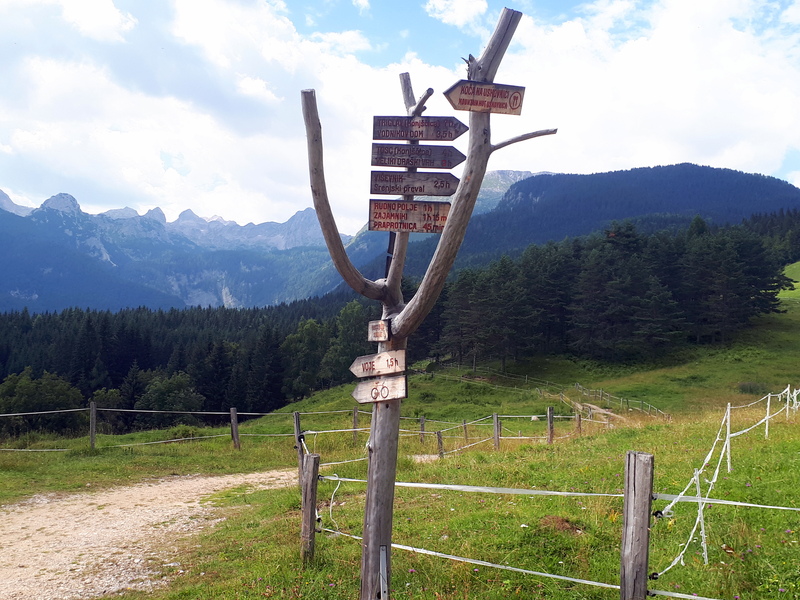 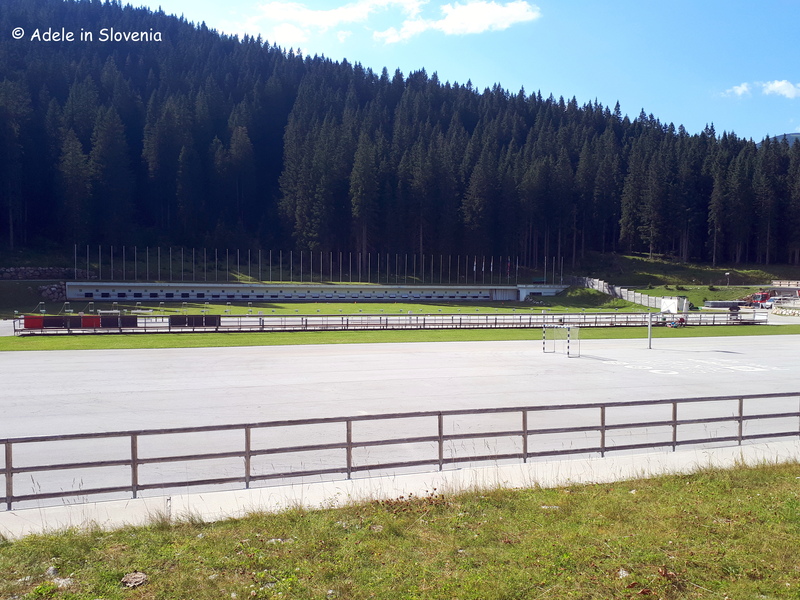 Those who would rather hike less but still reach the highlands and get some great views, can drive up to Planina Blato on the toll road (10 euros) – 1147m, from where the are numerous onward options on foot. 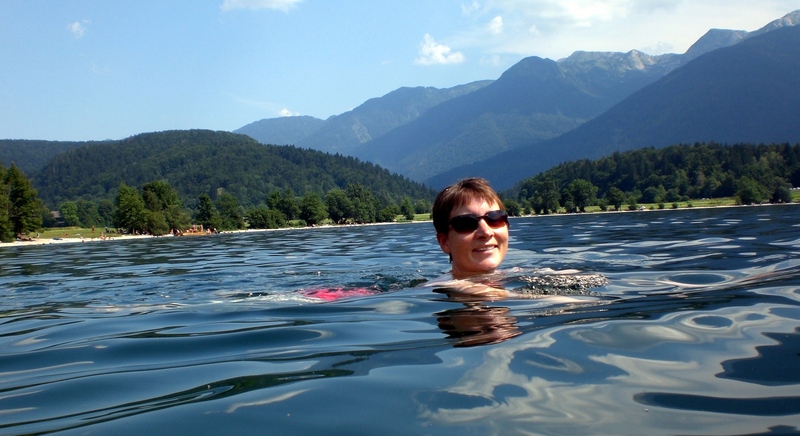 Now, I must admit that I’m a self-confessed wimp when it comes to cold water and, until last week, I had always declared any water I had dipped my big toe into as ‘too cold’. 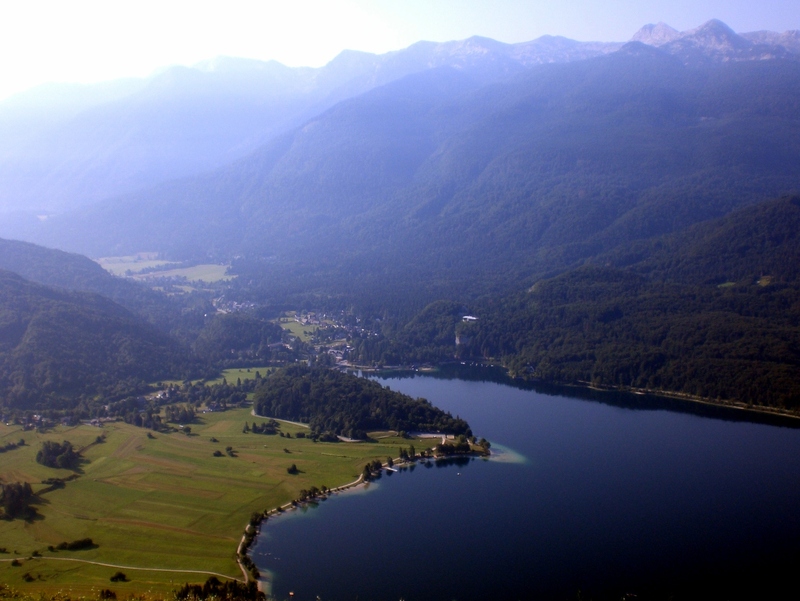 But last week, finally, after five-and-a-half hours of hiking, the cool water of Bohinj lake was calling my name. 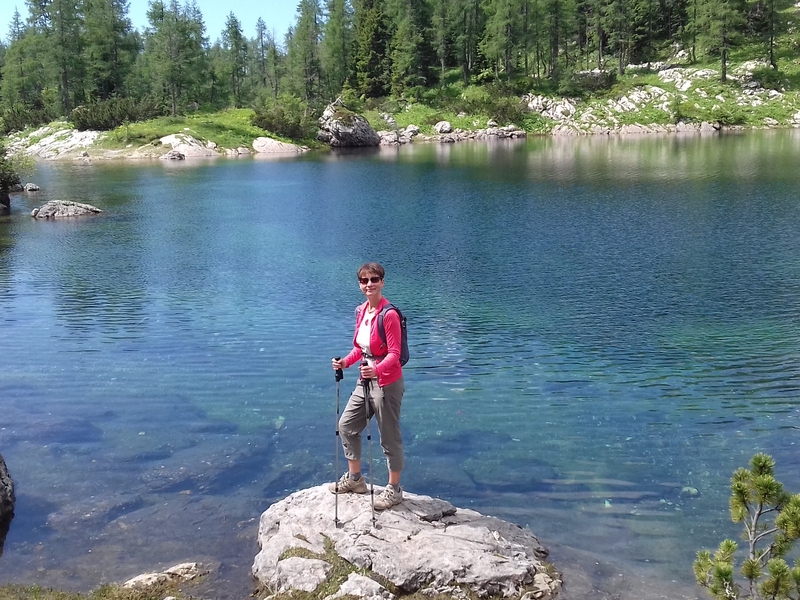 With the temperatures being so high for so long, the water in the lake was actually warm enough – even for me – and dare I say I actually enjoyed it!